Murcia is located between the Costa Blanca to the north and Costa del Sol to the south. The Costa Calida in Murcia offers the best climate in Europe and we have an amazing range of Spanish properties for sale. In Murcia we have apartments for sale right on the beach, in the largest marina in the region and on the many golf resorts in the region. Our wide range of Murcia property is suitable for holiday let, investment or permanent residence. The Costa Calida and Murcia has been the preferred destination for the Spanish for many years and is where many of them buy their second homes near the sea. Murcia has (according to the World Health Organisation) the best climate in Europe with over 320 days of sunshine per year and temperatures averaging 10 degrees Centigrade warmer that the UK throughout the year. The La Manga Strip in Murcia is a unique location in Europe with the Mediterranean on one side and the Mar Menor lagoon on the other - it is a mecca for watersports enthusiasts and as it is lined on both sides with sandy beaches, it's easy to see why this area is so popular with the Spanish. 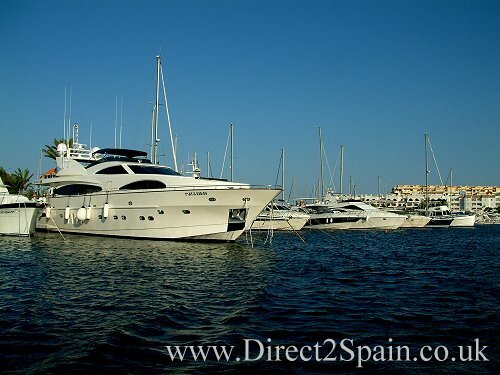 We at direct2Spain are here to help you find the Spanish property of your dreams - with our years of experience of (we have been selling property in Murcia since 2000) we can help you find the right property for YOU. Our award winning aftersales service will then look after you until you get the keys to your property and beyond - taking the hassle out of purchasing your dream home. We have the best variety of variety of Spanish resale property on the La Manga Strip and the Mar Menor area. The Mar Menor is Europe’s largest lagoon. Open to the Mediterranean sea at the northern end it is a mecca for watersports of all kinds. We have selected a variety of La Manga resale properties as well as new build (key ready) properties all just a short stroll to, or directly overlooking the beach. We have a fantastic variety of golf properties for sale, some are resale properties, but recently we have been able to obtain a good selection of brand new bank repossessed properties. These properties have been bought back from the developer by the banks and are now being offered at amazing prices - some less than half the original price. Also with great mortgage deals too 100% financing - so now is definately the time to buy.